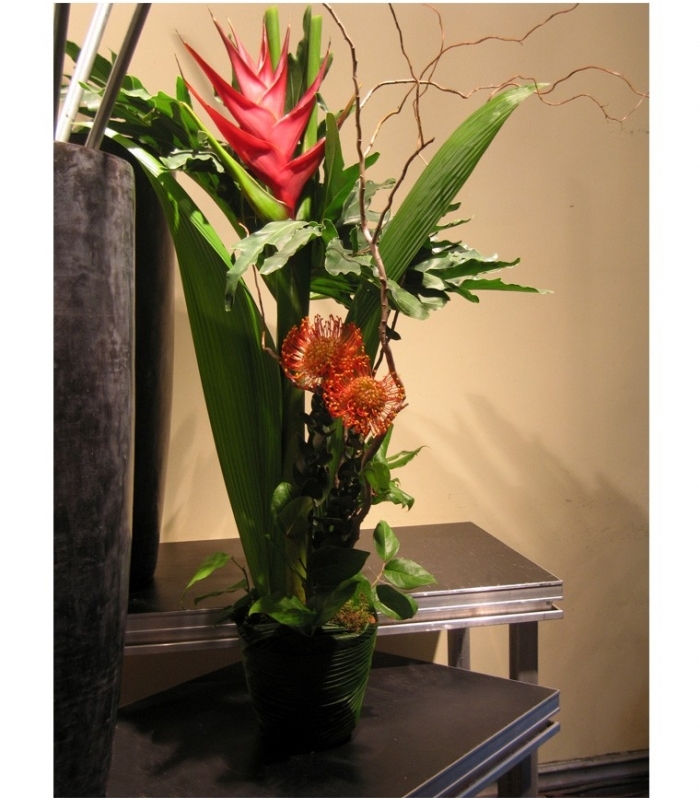 Magnificent floral arrangement with exotic flowers from South America in warm red and orange tones. 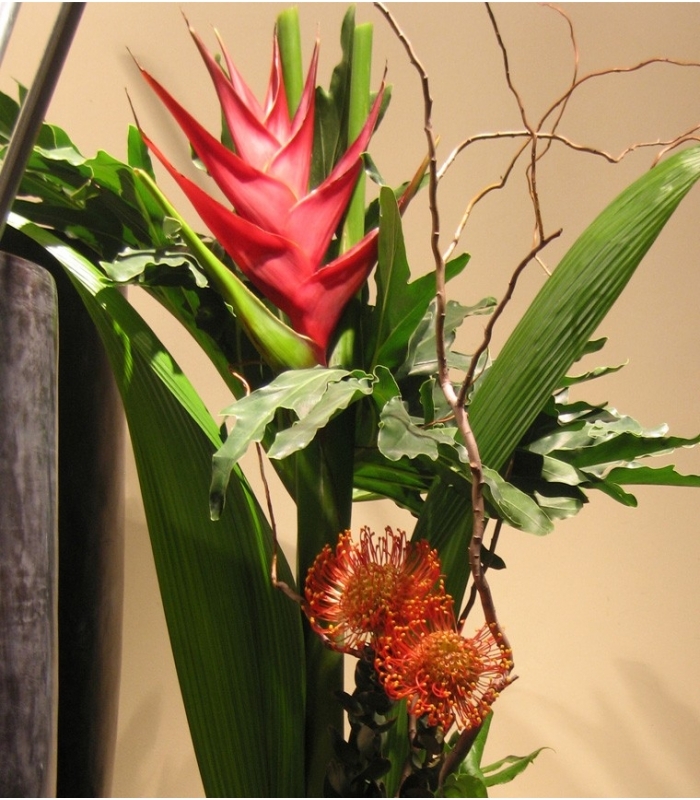 Magnificent floral arrangement with exotic flowers from South America in warm red and orange tones. This tall arrangement is composed of heliconia volcano and two orange protea pincushions. The design is enhanced with coco foliage, a philodendron leaf that is used at its full length, salal foliage at the base and beautiful seasonal curly branches. The flowers are inserted in a terracotta pot filled with humid floral foam wrapped with a coco leaf, giving it a tropical feel.